In 2012, British couple Richard and Jo-Anne Hoad set out on their next adventure. Richard had grown tired of the corporate world after working in the airline industry for 30 years and Jo-Anne had raised their five children, who were now adults and living on their own. They were ready for something new. After traveling extensively and living in the United Kingdom, Germany, Saudi Arabia, Canada and the United States, the worldly couple decided to try their hand at innkeeping. It wasn’t an entirely foreign concept to the couple; Jo-Anne’s parents had owned and run both a 10-bedroom hotel and a 9-bedroom bed-and-breakfast in the United Kingdom. After scouring the East Coast of the United States for the perfect location, the Hoads settled on scenic Cape Cod. The Hoads purchased a cozy, historic 1770s home in East Orleans, Mass. 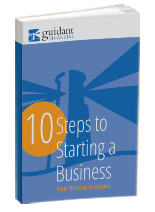 To finance the purchase, they worked with Guidant Financial to roll their retirement funds into the business tax- and penalty-free – an investment strategy called a Rollover for Business Start-up. After a full renovation in 2013, the 8-bedroom Parsonage Inn bed-and-breakfast officially opened its doors. Three years in, business is booming. In fact, revenue has doubled since they opened and is anticipated to grow by 10-15 percent this year alone. Located just over a mile from Nauset Beach and within walking distance to local restaurants, shops and galleries, the Parsonage Inn is a charming retreat, combining antique and modern furnishings with original features. The upstairs rooms feature gorgeous 200-year-old restored pumpkin pine flooring that was originally used for British ship building. To add a personal touch, breakfasts are prepared each morning by Jo-Anne using fresh local and organic produce, much of which is sourced from her garden. The best part? They get to work together each day. Jo-Anne handles the cooking and housekeeping, while Richard manages the financials, marketing and social media. 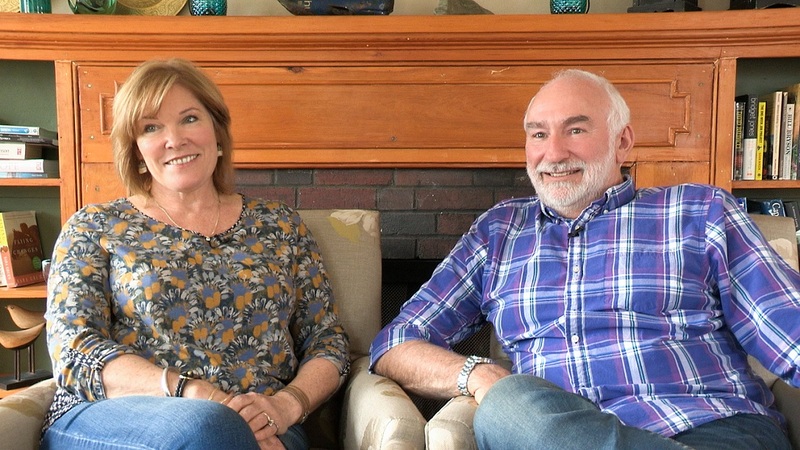 Together, they’ve experienced first-hand the challenges, opportunities and rewards of owning and operating a bed-and-breakfast. Check them out at parsonageinn.com/. Richard Hoad: I’ve been involved in the corporate life for 30 odd years and I didn’t really want to be part of that any longer. Richard: …and I’m Richard Hoad and we’re the co-owners of the Parsonage Inn in East Orleans [Maine]. We’re about a mile and a half from Nauset Beach. Jo-Anne: We travelled the world and had five children. I just felt it was time to do something. Richard: It appealed to us to do a bed-and-breakfast. There are so many nice bed-and-breakfasts around, and Cape Cod is just beautiful. Joanne: I’ve always loved food and am interested in cooking, so for me it was a natural progression to come up here and try something new. Richard: My experience working with Guidant has been nothing but positive. I originally found out about 401(k) rollovers from an agent, and she was able to make some suggestions. [Guidant] was one of the suggestions she came up with. My experience working with Guidant has been very reassuring and very easy. They took you through all the different steps. If ever I need to call them, they’re very responsive. If I get a voicemail, it’s within an hour or so that they call back. Their online documentation is very easy to go through. It’s been a very easy process to manage something that, I guess, is pretty complex. We took the business over in June 2012 and the last four years we’ve almost doubled business – our revenue. We’re hoping to grow it again this year by 10 or 15 percent. Joanne: One of the best parts of having your own business is being able to be together all the time and work together. Richard: Yes, and managing the business together, which is great fun. Joanne: I have loved doing all the decorating: choosing the colors, the linens. I love doing the garden. Being able to do as I would like to do – I love that. Richard: Working together and meeting the guests, I think that’s one of the most rewarding things. So many interesting people.